Veterinary News » HUGE recall on several Diamond brand dog and cat foods. Added May 7,2012: Diamond had incorrectly reported the production codes (to determine if you had an affected bag). I have now updated the article to reflect the correct codes. Added May 18, 2012: The recall has been expanded to include Diamond Naturals Small Breed Adult dog Lamb and Rice as well (see below). The Diamond Recall has expanded! For the last couple of weeks I have been writing about several recalls on foods manufactured by Diamond. Initially, there was a recall on Diamond Naturals Lamb and Rice. This was followed by a recall of Chicken Soup for the Pet Lover’s Soul. Then, there was a recall on Diamond Puppy Food, and now the recall has been expanded to include several other brands, including Kirkland food sold at Costco. Recall on Kirkland dog food? These are just a few of the many heartbreaking comments. I knew there had to be a problem. I had planned to review the comments this weekend and see if I could find any patterns. But this is not necessary, as Diamond has expanded their recall to include Kirkland as well as several other brands of food. Diamond put out a press release today with more information about the expanded recall. This is a voluntary recall. They claim that, so far, none of the recalled bags have tested positive for Salmonella. Given that there was such a mixture of comments on my blog, (i.e. many people claiming their dogs were sick and others saying that their dogs ate the same food and had no problems), I am guessing that the issue with Salmonella contamination is a sporadic one and is not affecting every bag of food, but just random ones. The type of Salmonella that is causing these infections is believed to be a rare strain called Salmonella Infantis. What foods are being recalled? The original recall has now been expanded to include Diamond Naturals Small Breed Adult Dog Lamb & Rice Formula. Only samples, 6 pound and 18 pound bag sizes are affected. The recall affects foods sold in the United States, Puerto Rico, and Canada. Salmonella poisoning can cause a dog to have vomiting, diarrhea (sometimes bloody), fever, abdominal pain and chills. If your dog has eaten a Diamond pet food and has these symptoms, please see your vet. If the dog is not terribly sick, the treatment may be quite simple. The vet may prescribe medication to help with intestinal upset as well as a special food that is gentle on the intestines. But, if your dog is dehydrated, has a fever, or extremely lethargic then the treatment may involve intensive hospitalization with intravenous fluids, blood testing, and medications. Judging by the comments on the article I wrote when I first became suspicious about problems with Kirkland dog food, some dogs may be dying from Salmonella poisoning connected to this food recall. Therefore, this is not something to take lightly! Can this problem affect people? Yes! There have been a number of reported cases where people may have gotten ill from either handling the tainted dog food, or the stools of pets who have eaten this food. For more information, read this: People getting infected with Salmonella from contaminated dog food. If your dog has eaten one of the recalled foods, and you, or a family member is unwell with vomiting, diarrhea or fever, then please see your physician immediately. Has your dog become ill from eating a tainted Diamond food? Do you suspect that you, or a family member has become ill because of this recall? I would greatly appreciate your comments below. 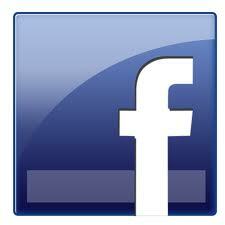 By commenting, you can help others who are looking for information. Also, please share this article on Facebook, Twitter or by email to spread the word so that more dogs don’t get sick! 149 Responses to "HUGE recall on several Diamond brand dog and cat foods." So…if we have the Kirkland food but store it in a container and have thrown out the bag, what does one do? Are current supplies good to buy or should one switch brands…Any affordable GRAIN FREE FISH out there? Costco called us (automated) about the recall so I called our store. We, too, store our food in a container and toss the bag. The customer service rep I spoke to said if we can bring back the food, they’ll refund us since they can look up your account and see that you’ve purchased the brand before. This is good information! I’ll add it to the article. The Kirkland on the shelf in Costco might be good now, but do you really want to take a chance again? California Natural makes a nice GF Fish. My dog became extremely ill suddenly on April 19th and I rushed her to the vet. Fortunately rapid treatment by our vet for a non specific colitis included antibiotics and she recovered without further incident. However, I am now highly suspect this illness came from her food. She was never diagnosed with Salmonella because we had no idea to check for it! During a recent television documentary on Costco great lengths were taken to show how much Costco demanded that the brands they placed the Kirkland Signature label on perform. The example shown was of Costco executives inspecting the paper plant where their toliet paper is manufactured! I have started a campaign to demand nothing more or less from it’s dog food brands! PLEASE SEND YOUR STORY OR REQUEST TO Costcocare@costco.com in a polite email requesting they adopt the same strict quality controls they follow for other products to their dog food line. Please make sure to include your membership number. The Horizon Pulsar food is a grain free fish for 49.99 for the large bag. Available at any Global Pet Foods store! And it is a great quality food! The vet of my senior dog didn’t think it was salmonella, but he has been rather sick lately with a mysterious digestive infection and (up until this moment) he has been on the very recently recalled Kirkland food. Diarrhea, constipation, pain, vomiting, you get the idea. He WAS poisoned by Kirkland dog food in 2008, though, that I know, as was one of my other dogs who later battled a variety of liver problems, including cancer. Now I don’t want to imply bad dog food causes all cancers, but don’t I seem pretty stupid for giving them bad Kirkland dog food TWICE? I naively thought it couldn’t happen again. Costco, drop Diamond foods for GOOD. This has affected far more pets than we’ll ever truly know. 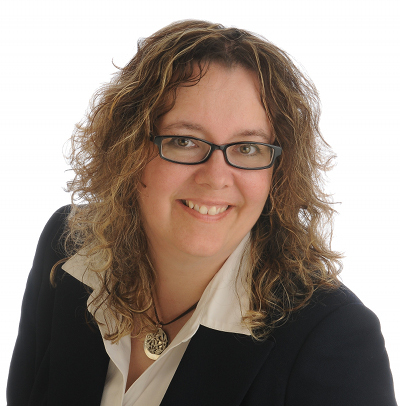 Thank you…I will add this to the article! We got the robocall from Costco this evening (May 4) but my dog had already died eleven days ago after several days of lost appetite, abdominal pain and lethargy. We were feeding the Kirkland adult dry food with chicken, rice and vegetables. Wellness has posted an announcement on their site. One formula being recalled. Wellness Complete Health® Super5Mix® Large Breed Puppy, 15 lb. and 30 lb. bags and 5 oz. sample bags with best by dates of JAN 9 2013 through JAN 11 2013. Thanks, I’ll look into this as well. from Costco. All of the Saints have had diarreah and lack of appetite. The oldest Saint just turned 4, he is the father of the 7 month old, and 4 month old. The father has corn allergies that is passed down to his puppies. Therefore, I watch them all extremely close that they dont get into anything or are given anything! The father and youngest puppy have been here about a month, and came with their own bag of the same dog food from CA. Since I started feeding the three of them the dog food from the Costco here in Myrtle Beach is when their diarreah and loss of appetite began. In the past 5 months we have have to put two of our animals to sleep. Its very frustrating to do everything you possibly can to keep your animals healthy and safe, but yet you have to worry about the dog food your feeding them. When I first got the 7month old Saint I talked to a Nutro rep for an hour about her corn allergy, she recommended a food. I found out later, by accident, it had corn products in it. I couldnt figure out way she was having the problems she was. I was blaming my kids! I realize to some people an animal is just an animal. In our family, they are a part of our family! I cant believe more precautions arent being made in these plants! Especially as much money as some of these dog and cat food and products have gotten! Canidae has posted an announcement on their site. 4 formulas being recalled. Wow. This is spreading like crazy. I will look into this too. My shepherd mix is extremely ill late tonight.. I am sitting with him now and deciding whether to take him to an emergency ER after reading this… I was going to wait for the vet tomorrow morning.. He eats TOTW Bison & Venison.. It has ground lamb.. He has had some vomiting and now explosive diarreha with some light blood in stool..
My Golden who was diagnosed with cancer last July is on TOTW BISON & VENISON. I too store my food in another container so I have no idea if my bag is one that has been recalled. He is fine and has shown no signs of being sick. I have only a quarter of a bag left. Should I stop feeding the balance? Any other good grain free low carb foods that I can use till this is over? Any comments appreciated. I am having the same issue, I don’t keep the bags…my dog is eating TOTW Wetlands and I am unsure if the bag is bad. I just got the bag a couple weeks ago but like I said I threw the bag away. She does not seem sick at all and she is eating the food without a problem. I don’t know if I should just throw it away to be on the safe side or to just continue feeding her since she seems okay. My bulldogs Eat Taste Of The Wild Bison and Venison…but i checked the numbers on the bag and it wasnt recalled…and i also checked the feed store where i buy it and there store was not affected…and i love my bulldogs…im not having any problems with them idk…..
Two of my older greyhounds became quite ill this week and I was feeding TOTW High Prairie Canine Formula with the exact production code being recalled. One dog has recovered but one dog I had to take to the vet and put on antibiotics, antinausea med. and prednisone for very high fever. Why is a VET only writing about the effects to Dogs… Where is the information for Cats??? I am getting a new kitten in a few weeks and have been doing some research on food as well. I would also like to know if there are food recalls for cat food as well. I’ve done my best to keep her nibbling but she got to the point where she just smells it and thats it. She is very lethargic, a little clumsy, and i just checked her gums today to see that they are white which indicates anemia. For the past few days I’ve just tried to tempt her with whatever she might have a nibble at, just to keep her from getting worse. I can tell her tum is really bothering her…. wondering if its a bad batch of the Wellness for cats too- not just dogs or dry food now? Wow! I’m so upset about this. Our 75 pound yellow lab became very sick last month and wouldn’t eat the Kirkland Nature’s Domain salmon & sweet potato food that he’s been fed since we got him a year ago. We took him in for x-rays and tests and nothing showed up. We thought he had a blockage causing the vomiting and diarrhea but nothing showed on x-ray. NOW I know what caused it! Since then he’s had sporatic vomiting and refuses to eat all of his food we give him. Which is SO unlike him!!! He’s also lost weight. NOW I know I was feeding him POISON and I’m pissed! My 8 year old daughter also experienced a bout of nausea and illness after trying to hand feed our dog the food to encourage him to eat. I’m sure SHE was also poisoned by the tainted food! Unbelievable! Really sad and unacceptable! I’m so thankful that we didn’t lose our dog and that my daughter didn’t get more sick! Diamond needs to be held accountable for this! A refund for a few bags of dog food seems hardly acceptable after all the worry, concern, illness & vet bills!!!! I had a similar experience with my dog, she was very sick at the beginning of April, started with her throwing up, extreme thirst, would not eat, very lathargic (kirklands chicken in the bergundy bag) no bowel movements for 5 to 6 days. I took her to the vet and he thought it was some type of poisioning but did not know what it was. She was on antibiotics for 2 1/2 weeks. She also became incontinent during this illness. Finally brought her back around and bought her a different brand of food because she wouldn’t eat the kirklands, I thought it was because of her illness. When she started to eat again I mixed the kirland (same bag) with the new food. Well she threw up again monday and I took her to the vet. I am convinced she was poisoned the first illness and now again. So far I have paid out almost $1,000.00 in vet bills not to mention loss of work time, and most importantly the suffering my girl has gone through. I am having her tested for salmonella poisioning. The vet has concerns about her having permanent liver damage from tge first illness. I got an automated call on Sat. about this recall but read the factory was shut down in December because of this issue. I am mad as hell and will not just forget about this. We store our food, but kept the bag, but it is not part of the recall …. yet. Last week our dog exhibited some of the signs including vomiting, loss of appetite (didn’t eat for 2 days), lethargy, and mild diarrhea. And that was after maybe 1-2 bowls of a fresh bag of the kirkland signature lamb and rice. We took him into the vet and the vet didn’t think it was food poisoning, even after the initial diamond foods recall. He did get fluids and recommendations for care. He’s finally doing much better, but we haven’t reintroduced dry food yet. He’s a special dog with a gambit of issues. We don’t need anymore. $25 can go in the trash especially compared to the vet bill and worry. We’re taking the food back to costco. But if they won’t refund, I’ll gladly trash it and try something else. The question now, how to clean the storage container or does that need to go in the garbage? And what food next? If you do a good thorough clean with hot soapy water, this should be sufficient. If it were me though, I would likely be a little paranoid and buy a whole new container just in case I didn’t clean it well enough. Is Beneful on this list? Does anyone know? My chihuahua just had a litter of pups and we changed to beneful puppy food and since than she and my other chihuahua have been vomiting and eatin grass and dirt. I talked with vet and they just gave me antivomiting pills? Was never asked about what food I was feeding or anything about recalls? My little babies are only 4 n 6 lbs? So far there is no official Beneful recall. I’m not a fan of the food though…but it’s not likely contaminated. I usually use Iams but they did not have it in stock. Can u recommend a puppy food that is best for tiny chihuahuas? Depending on what you were feeding before beneful, the switch to such a low quality food could very well be the reason you are seeing them doing this. Beneful is full of fillers byproducts and colorings. They are most likely not getting what they need out of the food so they are trying to find it else where. Hope that helps you some. I so agree with you on this one. OMG That has got to be one of the worst foods to feed an animal. This is actually meant for Rebecca but there was no “reply” button to respond to the Iams comment. Iams is just as bad as Beneful. Don’t be fooled by it’s price. Read the ingredients. Meat by-products are not a good thing! If you are concerned about your pet’s well being and health, find a food that is free of by-products. I’m going to disagree here. See my article on Iams and also on by-products. If it’s a metal container, I’d imagine you could bleach it. I’m not 100% on what types of plastics can handle bleach or not. I don’t understand why so many vets say “no it isn’t related to the dog food, cat food recalls” is it because they did not catch the real culprit and you pay hundreds to thousands trying to save your pets. I had 3 cats die during the big “plastic instead of protein” in food a few years ago. The first cat was a younger cat only a few years old and she went from slightly ill to deathly sick in 2 days. She had to be put to sleep, the vet said “cancer”. Next an older healthy cat got sick and I took her in for tests, (nothing unusual) etc… so all she got was a steroid shot, 3 days later she was dead. Then another older cat got sick and died…. about a week later the recall notices started coming out and I then KNEW. I told my vet… well now I know why my cats died… and he said oh no just a coincidence… Now I read here about vets saying the same thing… WHY do they do this? Any why do blood test and all we pay for to vets NEVER show anything or help? I am so so sick of the USA being so uncaring about food quality for our pets.. junk from China and the even worse places China gets the filler from even cheaper in the first place. it is crazy, the US is so crazy… but what can you expect when we have our IV fluids and antibiotics made in India and find fungus and glass shrads in IV fluids hospitals use. it is really getting very nuts. What can we do? My 4 year old American Bulldog became sick shortly after we opened our new bag of Kirkland adult dry food with chicken, rice and vegetables. The symptoms started showing the first week in April. It started with blood in his diarrhea, then a week of uncontrolled urinating and one bout with vomit. The vet diagnosed him with a UTI and prescribed cephalexin, which our dog refused to take, so he changed the prescription to cefpodoxime proxetil. Two days after we started on the antibiotics, he stopped eating altogether and became extremely lethargic. We took him back to the vet and the doctor performed a complete blood test. The blood test came back with an extremely high calcium level (over 16) and a slightly decreased WBC. He put him on fluids and did a battery of tests for cancer, Addison ’s disease, Lepto, performed an ultrasound on his abdominal area and XRay on his chest and abdominal. At this point, our dog was down 8 LBS (from 84-76). After three days of testing and fluids, the doctor could not find the cause, so he started him on a cycle of Doxycycline. He believed our dog had a rare strand of Lepto that came up undetected with testing. The evening of day 3, our dog had a handful of Science Diet wet dog food. The doctor re-ran the blood work and his calcium level had dropped to 12.4. He believed the Doxy was working and let us bring him home. Over the next two days the dog had a few treats, but regressed again to not eating, shivering and lethargy. This past Tuesday we brought him back in for more fluid. He had dropped 12 LBS in 2 weeks (from 84 to 72). The doctor ran more blood work and determined he was getting better (his WBC went up, RBC stayed in the normal range and Phosphorus were slightly elevated, but still sat in the normal range). The results gave the impression that his kidneys were getting better. He gave him a steroid shot hoping that would stimulate his appetite and sent him home (the shot is in his system for 3 days). That night our dog started eating! He picked at some treats we placed in his food bowl, mixed in with the Kirkland brand food. We started making him hamburgers and meatballs, which he’s devouring. He hadn’t started fully eating his food, but he’s eating treats and human food so we’re content. Then we get the call last night telling us about the recall! We’re now worried that we’ve been mixing in the treats with his regular food and things will regress again! He hasn’t eaten that much of the Kirkland brand food, but enough for us to be worried. This morning we visited our vet to give him the heads up and see if he suggests a new treatment plan. He said he had heard about the recall several days ago and cannot determine if our dog’s health is affected by the recall. Without telling us, the vet re-ran his calcium level and it was back up to 16.5. He withheld the information because we were reporting the dog’s health was getting better and he didn’t want to worry us. He didn’t suggest a new treatment plan either. My question for Dr. Marie is, can salmonella cause elevated calcium levels? Our vet would like us to bring him back on Monday to have more blood work done (to rule out lymphoma), but he seems to be dismissing the recall. He doesn’t appear to be educated with the symptoms associated with the recall, although our dog’s story matches the others listed here. Also, because he is eating burgers and treats, should we consider that a step in the right direction and only bring him back if his health turns again? Should we consult with a different vet? We cannot afford to do any more exploratory procedures, therefore we’re hoping that a wait and see approach will work. So sorry to hear about your dog. High calcium is not a known symptom of salmonella poisoning. It can sometimes be tricky to figure out why it is high. It could be because of cancer that is hidden somewhere in the body. Addison’s disease is possible as well. We know it’s not Addison’s. That was the first disease our vet tested agains and it came back negative. The production code of our Kirkland adult dry food with chicken, rice and vegetables matches the one given with the recall. In fact, I’ve experienced minor abdominal pains from handling the food. Is salmonella considered a poison? Do you think that the salmonella effecting the kidney functioin could cause elevated Calcium levels? I’m not a doctor, but I find it hard to believe that a 4 year old completely healthy dog who’s been ingesting contaminated food has cancer when he did not show signs of it before. Chris you are right. I find it hard to believe to. Why do vets dismiss recalls? Why do many pet owners dismiss their vet’s advice? Chris’s question shows his/ her ignorance of this subject- no, Salmonella isn’t a poison, it’s a bacteria- a living organism that causes an infection. That infection does *not* cause the symptoms Chris is describing. And it’s ok that Chris doesn’t know; that’s why you take your pet to a vet who has years of rigorous schooling and experience (and should explain these things to you if you ask). You vet should consider recalls when examining your sick pet but they have an obligation to keep an open mind. You wouldn’t be happy if they told you your dog was sick from tainted food when it actually had lymphoma. You wouldn’t be happy if your vet said your puppy was sick from tainted food when really it had parvo. The truth is that contaminated food is easy for a pet owner to understand. Cancer and Addison’s and rare Lepto strains and frustrating illnesses that defy diagnosis are harder. “How can my pet be fine today and have a life-threatening illness the next?” There isn’t any simple explanation to that question, and trying to make it simple by attributing it to something like tainted food or poison usually won’t help your pet. So be educated- know about food recalls and talk to your vet about them. But listen to your vet as well. They have your pet’s best interests at heart too, and much more (animal) medical knowledge and experience! Don’t assume that because your vet doesn’t agree with you they are simply “dismissing” your concerns. Did you ever figure out what was wrong? This is similar to my dog. I would love to hear the final results and outcome. Are any of the effected dogs in CA? I have received the message from Costco as well, and for the past 3 weeks my dog has been ill with all of the symptoms stated. I have spent almost a $1000.00 in vet bills already. The vets thought it could be early stages of Liver disease but so far the tests have come back negative. If her symptoms are from the Kirkland dog food I have fed her, will I be compensated for my vet bills? A refund for just the bag of food hardly seems fair. There was nothing wrong with my dog until this. That’s why I feed my dogs a raw diet which is species appropriate. Feeding your animal kibble is like feeding your child meal replacement bars, they may survive, but they wont thrive. With all the recent recalls, I’m surprised vets still endorse processed food of any kind. The saying, ‘you are what you eat’, applies to our pets as well. I have been feeding a raw diet to my dogs for years and have never had any problems with anything especially salmonella. We mostly use human grade raw food for our dogs. We don’t like commercially-made anything. She has been a raw food advocate for many years. It’s just the other side of the debate for those who are interested. Unfortunately, health food studies cost a lot of money. I know, I worked in a lab for years. To base your decision not to feed raw food on lack of evidence is a bit short sighted. The dog food companies have the money to do lots of studies. But just think what a wild dog eats (Like African Painted Dogs or Dingos which are ‘true’ wild dogs) and you’ll have an idea what a species appropriate diet is. I believe poor food choices are the reason why 50% of dogs get cancer not to mention all the other chronic diseases out there. After all, processed food is a human invention and look where it’s taken us. I love my dog enough to spend the extra money and time … this includes wearing disposable gloves to pick up poop, which we all should be doing anyway, no poop is clean! Thanks for posting my reply, I know it’s a HOT topic at the moment and I just enjoy it when people can make up their own minds when it comes to their pets and health. I have a three year old mixed breed (poodle x Bichon) he has had chronic ulcers in his mouth since last July. They don’t respond to antibiotics.treatments. We’ve tries Flagyl, Clindimycin and clavamox. The vet finall resorted to pulling most of his teeth suspecting CUPS. The surgery was a week ago, but he is still lethargic, shaking and not eating. I hope that I have not been poisoning him with the Nature’s Domain. He will not eat and I can barely get nutrical in him. Any suggestions as to which way to turn. I am desperate and feel as though I may be losing my little buddy. 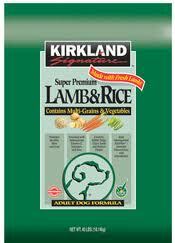 We have three dogs, 2 pitbulls and 1 English bulldog who have been eating Kirkland’s Lamb & Rice adult dry food. Over the past few months we’vehad sporadic issues with our female pitbull vomiting after every meal and our male English bulldog having bloody diarrhea. We dismissed both because our female tends to have some general anxiety, our English has a sensitive tummy and our male pitbull was fine. After reading everyone’s experiences, we will be returning our new bag to Costco and getting the kids back on their more expensive previous brand. Peace of mind and the health of our four-legged kids is worth it! I have a 6 month old female English Bulldog who eats Kirkland Lamb & Rice. She has been on for several years with no problems. I bought a bag at Costco last Nov 20 and she would throw up 30-60 minutes after every feeding. I discussed with my vet in early January and the vet agreed this was odd. My dog otherwise acted normal and it didn’t seam to bother her spirits (or appetite) but the throwing up was very disturbing to me. Her throwing up stopped as soon as I purchased a new bag of food (Feb 7). I’m now convinced that bag of food was contaminated (even if very mildly). What bothers me most in this is Diamond’s claim that no dog’s have been reported ill. I’m in NC. My great dane recently decided he didn’t want to eat his Taste of the Wild anymore. I thought maybe he was bored with the flavor, because he is usually a voracious eater, so I switched from pacific salmon to wild prairie bison. He ate it for a few days, and then decided he didn’t want to eat that either. I thought he was being incredibly picky at this point, so I just decided if he was hungry, he would eat it eventually. Two days ago, my boyfriend fed him twice in a row, and about 8 hours after he fed him dinner, he (my boyfriend) was incredibly sick, and it just so happened he had all of the symptoms of salmonella poisoning. I now have, a full bag of the pacific stream, a dog food container full of the prairie bison, a sick boyfriend, and a dog that refuses to eat his Taste of the Wild. I’ve heard more tragic stories from people using commercial, processed food than raw. You can get salmonella from any food that’s not handled properly. I don’t understand why so many people are afraid to try raw food…looking at the press, I’d be more afraid of commercial food. My vet put me onto raw for my dogs. Raw bones are especially great for healthy teeth, I haven’t had to have my dogs teeth cleaned in 6 years! raw bones are a hazard. They can cause splinters and get stuck in their throat or down in the intestines where they can rip. Pls don’t feed raw bones. Not true about raw bones Karen, you’re thinking of cooked bones. How do wild animals do it? No difference! I agree. Raw bones are good for pets. They are full of calcium. Cooked bones are too soft to feed pets so they should be avoided due to the nature of cooked bones splintering and causing punctures in the animals esophagus/digestive tract. The more I learn about raw diet, the more I am intrigued. As soon as I am able to purchase a heavy duty meat grinder my pets will be on RAW. It’s a lot less stressful and time consuming than worrying about if your pet will get sick, worse yet, die and all of the time and money spent at the vet. I can’t tell you how many issues I have seen with dogs who eat bones. The biggest issue is a slab fracture on the carnassial teeth. These can be very painful and expensive to treat. I’m sure there are lots of people who have never had problems with feeding bones, but I’ve seen some serious cases including pieces of bone causing serious intestinal obstruction. I have a 3 year old husky who we feed Kirkland’s Grain Free Dog Food to. About 2 1/2 weeks ago he started to get sick he kept having accidents inside that was when we first noticed something was different. The illness progressed and he began to have diarrhea and vomiting several times a day. He constantly begged to go pee and when he would it would only be the smallest amount. He became depressed and restless and showed symptoms of dehydration even though i noticed him drink an increased amount of water. He had a very dry nose and skin did not snap back into placed when pulled up on. He then began showing signs of hallucination for about 3 days. He started to feel better about a week after but has continued almost once a day and is very interested in eating grass these last couple weeks everytime he is outside. Kirkland’s canned food stinks too. Since I usually associate Costco with good quality, I bought a couple of cases. It makes me sick even to open the cans, the dogs won’t touch it. I can’t imagine they’d have a problem returning it. Costco (in general) will take just about anything back. This makes me so mad. We lost out other dog to cancer a almost two years ago but I always thought it had something to do with the last time we had this mess with pet food. We got a new dog six months ago and was told to feed her Taste of the Wild, she throws up, eats grass all the time and her tummy pops really loud. This is crazy, we put our trust in these companies to do right by our pets. What about cat food? My cats eat canned Wellness with a little bit of dry Taste of the Wild on top. Is that ok? From what I understand there are some cat foods affected as well. You can use the diagrams in the article to look at the product codes on the bag to determine if your food is involved in the recall. My cat eats a fair bit of, er, “raw” food outdoors (mice, moles, etc..). He’s an indoor/outdoor cat, so I can’t monitor his intake or output. Should I keep an eye out for the other signs (fever, chills, abdominal pain), or would cats react differently to a salmonella infection? My dogs eat Fromm. Has there been any word about that food being recalled? My poodle eats the canned and my boxer eats the dry. cats DO react differently than dogs– they typically don’t show their illnesses until its SERIOUS. my kitty has been acting ill and very lethargic for 6 days and has abruptly gone off her regular canned Wellness Chicken which she normally gobbles. she acts like she wants to eat and then turns away… you can practically hear her say “urgh-blargh” Its easy to see she feels quite nauseas and I’ve noticed she has been eating grass to throw up. tonite i bought her a different brand of canned food, unfortunately its got rice, which will probably make her thirsty- but at least she ate a small portion & seemed to enjoy it. i have no funds for endless tests at the vet…. i just have to take care of her as best i can at home… “watchful waiting” and trying different food. What about Kirkland Adult Chicken and Rice formula for small breed adults? I don’t see that one specifically listed, but that is what I buy for my dogs. We have ours in a container, so the bag is gone, but we’ve been feeding it for a couple weeks now with no ill effects, so I think I can assume that this bag is okay. I have another bag waiting, which I just bought, but the numbers don’t match so it should be okay as well. You can bet I’ll be keeping a close eye on my dogs when I start feeding them from that bag, however! What I will do, since I store my food in a container, is cut the information from the bag and tape it to the lid, so that I have it available in the event of future recalls. I’m going to look for a clear plastic holder that I can permanently affix to the lid and in the future just slide the food information into that sleeve, and change it when I add a new bag of food. This recall taught me the importance of keeping that information on hand; I was stressing out over the existing food they were already eating, with no production code to refer to! Is Evo part of this recall. My Golden was diagnosed with osteosarcoma with pulmonary metastasis and was only given 4 months to live. This was almost 1 year ago and after numerous chemo treatments he is not cured but he is thriving. I switched him from Natures Domain to TOTW Bison & Venison. I’m scared to death that this recall will undo all I’ve done to help him live a longer life. He’s just a baby of only 3 years. My next step is to find another grain free food that I can trust. Any help with this is much appreciated. Evo is something I have thought about but I’m unsure. to Furvy, my German shepherd has also been diagnosed with Ostersarcoma last week and is only 4 years old. She has been eating Nature’s Domain from Costco for more than a year. She just recently refused to eat it. Osteosarcoma is very rare in young dogs. A coincidence seems unlikely. My vet says with amputation and chemo she might make one year. I!m devastated. I wish you and your Golden the best. To furvy: Look into Champion Petfoods website–they are a Canadian company and make Acana and Oreigen brands. They have some grain-free foods and also have novelty-protein foods for pets with allergies. The thing is, they own their own mill and factory, nothing is outsourced. I lost a dog to kidney failure during the last big recall with the outsourced gluten/melamine horror. After that, I said never again would I trust grocery-store, large brand-type dog food. I switched at that time to Canidae. Then, after a year or so, I changed after Canidae moved from using their OWN mill to a mill shared by multiple companies (a pet store owner clued me into this) I wonder now if this “shared mill” is the Diamond facility? OK, so I switched to Innova–great food, but they were then bought out by P&G, so who knows how long until that conglomerate starts cutting corners and compromising the food? So, I finally have found Champion. My 3 Siberian Huskies have been on Acana Pacifica (one of their grain-frees) for a couple years now. Bottom line: The food is not cheap, but after losing a dog already because of tainted food, I’m willing to do the research and spend the money for it. (I’m willing to cut out things for myself if I need to rather than compromise on my dog’s health) A 30 lb bag runs about $60–but it’s nutrient-dense, so you don’t need to feed much. (My 3 50-lb Huskies go thru 1 bag/3weeks….so figure $20/wk for 3 dogs….roughly $6.67/dog per week–doesn’t sound like so much does it)? so are the bags that are being sold at Costco deemed safe or should we switch brands to be safe? I have been feeding my lab Costco food in the burgundy bag for several years and no problem. Last week she started having horrible diarrhea. I thought she had eaten something that would upset her stomach. As all labs do! Today I remembered that it all started when she began eating from the last bag I opened. Her stomach is swollen, and she has been drinking a lot of water. Tomorrow morning it is off to Costco with a bag of food. Unfortunately, the original bag was emptied into the food container, no matter I am not taking any chances. Finally I may have the answer! My Irish Wolfhound has been having diarrhea on and off since mid-March… He has been eating Kirkland in the burgundy bag…We tested a stool sample mid-March , all clear. My vet has had him on Immudium which helped for awhile but now the diarrhea has been everyday with accidents in the house. I just dropped off another stool sample on Friday. I will call my vet on Monday morning to re-evaluate. My Costco bag does not have the affected production code but it does have the date. I’m throwing both bags away. Just fed my hound some rice and boiled hamburger which he wolfed down (no pun intended). This is the first food he has wanted to eat all week!! Thank you so much for the information. So what grain-free dry food is safe to buy? We were feeding Call of the Wild, but the last bag we bought had a terrible strong odor and is going back. I don’t have the bag any longer but I am hoping with the receipt Tractor Supply will take it back. In the interim we picked up a bag of Iams which I know is not optimum feed but I think the best Walmart had to offer at 10pm. What should I feed as a permanent solution? I have young Westies. Others may disagree but I like Iams. I find that my patients on Iams look healthy. What made my dog very ill was the Waggin Train chicken jerky from Costco. I found out later there was a news report on TV warning people about the product. Waggin Train is also sold at Wal-Mart and some pet stores. I also later found out that there are hundreds of other pet owners online saying their dog got very sick/and or died from those so called treats yet stores refuse to pull them off the shelves and there is no recall. I mentioned the problem to several of my friends and they said their dogs were sick and they are fine now since they are not giving them the chicken jerky. The whole issue of pet foods is getting to be very scary. How does one know what is truly safe for our pets? Ok, so I just checked my Kirkland food bags and they are dated April 2013. These bags that have been recalled are actually kinda old if you use a fair amount of dog food. Please check your dates. They were hard for me to find at first. They are in a colored box on the back of each bag. I wonder if they found the problem and corrected it or if they just aren’t confirming whether later batches are affected? I was wondering about my Kirkland food even before I read this. I had a new bag of Nature’s Domain. We have a lab, who will eat any and everything. He ate one maybe two meals from the new bag and became sick throwing up numerous times. After two days of no food, I started to introduce the ND again and he would NOT eat it. A Lab who eats anything, wouldn’t touch it. I wondered if something was wrong with the food, but couldn’t find any recall on it. I bought another brand and he ate it fine, but still would not touch the ND. It could certainly all be coincidence, but after reading the recall and these stories, I have to wonder. My food is emptied into a container, but I’m going to call Costco and see about taking the remainder in. Both of my labs eat Taste of the Wild. Two weeks ago my yellow lab vomited several times in one evening. That night his stomach began making very loud grumbling noises. The next day he was fine. The next day my chocolate lab began having diarrhea. He began eating grass and vomited late at night. He became lethargic the next day and his vomiting became more frequent. His stomach was making the very same loud noises our yellow had exhibited. Our vet was afraid he had an intestinal blockage. We overnighted him in an animal hospital and had exploratory surgery the next day as a precaution even though his ultrasound appeared clear. No obstruction was found however his intestines were extremely swollen and he was dehydrated. His protein levels were low. Remi is now recovering at home with a six inch incision in his belly and numerous biopsys were taken from his intestines. Biopsys were returned and a food intolerance was to blame. I will be calling my vet first thing Monday morning to see if this could be connected to the recall. $2400 in vet bills and my poor baby has been in serious pain. I hope this recall is not to blame as I trusted Taste of the Wild. Based on the comments I read, this recall of Diamond dog and puppy foods is for people who bought these products from Costo stores only? We buy this brand in both puppy and dog formulas, but from our local farm supply store. So far, I have yet to see any issues from our 2 dogs, or our 2 puppies. My boyfriend works at a manufacturer who makes a certain kind of medical devise, and says each customer has their own production code. The reason I mentioned about where my boyfriend works is because I looked at the production codes on the bags of Diamond dog foods we have, and the codes don’t look anything like the ones posted to be aware of. If this is Just a recall for Costco customers, then the title of this topic should read ” HUGE recall of Diamond brand dog and cat foods bought at Costco stores”. Again, as I read the comments, it appears the problems may have been created at the Costco warehouses where their supplies are stored prior to delivery to the Costco retail stores. The problem has been traced to the Diamond plant in South Carolina, not Costco. This definitely extends outside of Costco. No, the Diamond food recall is for foods purchased at any store. However Costco’s “house” brand, called Kirkland’s, is made at the Diamond factory and is also recalled. Kirkland’s food is only available at Costco. But Diamond and several other brands available at lots of other stores are included in the recall also. See the http://diamondpetrecall.com/ website for details. showed the dog food and dog bills . the windsor store did as much as the could thank you . thank godness i have a good vet thx DR K ..
lets hope costco does the correct thing .. IMPORTANT: The Diamond Pet Food Recall now also includes CAT FOOD with numbers different than those currently shown on their website. I called them today after reading the news stories about the dog food recall because I recently started feeding my cats “Taste of the Wild” cat food. Although most all of various news articles only mention dog food, the recall website references “pet food”. I decided to be safe and call – and was horrified when the customer service rep told me my cat food bag was indeed part of the recall. This is the link to their recall website (although the recall information currently on there is incomplete) : http://diamondpetrecall.com/ Also, their telephone number is (866)918-8756. FYI, my cat has had bloody diarrhea/stools for a couple of weeks now and is currently taking daily medicine prescribed by the vet to clear up this ongoing issue. A couple of nights ago, the sound of my cat vomiting woke me up. He threw up approximately 8-10 times. However, he seemed to be ok shortly afterwards so I did not take him to the vet the next morning. I asked the Diamond rep. if my cat needed any further treatment and would they reimburse me for the vet bills. I was transferred to their “Medical Department” where I left a voice mail message. My girls already went through their bag of Kirkland Signature Lamb and Rice Dog food, that should have been recalled.. Considering they plow through a bag in about 3 weeks, this affected bag, would have been long gone by the time the recall came out. That being said, they still have not shown any signs of illness. None. They ( Costco) had removed all of their dog food for a few weeks, and it is now back on the shelves, brand new batches, not within the recall dates. I will continue to monitor my furbabies, but all seems well so far, and when I received the recall message from Costco regarding the pet foods ( cat food as well) They noted that all of the recalled batches had tested negative for Salmonella.. Maybe they should test other batches outside of the recall dates, to rule things out. Our older girl, who is 2 now, has now been on 2 recalled foods. 🙁 Hard to find anything trust worthy now, and If I could afford to cook their food for them, as I do with my family, I would. I already make their own treats, and the only other thing I give them is pig ears, which are Canadian made, and from Canadian pigs.. AGAIN though.. my girls have had no illness from the kirkland dog food. it seems to be almost sporadic. And a last word … PEOPLE .. wash your hands thoroughly after handling pet foods, treats etc.. absolutely necessary! I don’t care if the treats are irradiated, natural, etc.. wash those mitts of yours! Most of the illnesses reported with this recall, are in people, not the pets. Dogs and Cats can better handle Salmonella than us humans can. Yes, some pets can get violently ill from it, but it really is not as common as when people are exposed to it. You’ve got some hungry girls! +1 to your advice of human hand-washing. I have four dogs. I stopped feeding them the Kirkland Dry and Wet food as of last January. They were all having stomach issues. Will never again feed them anything from Costco again! For Kirkland foods, it’s a 3 in the 9th position and an X in the 11th position. Thank you. I will look into this right away! THAT IS HOW IT LOOKS ON THE BAG, NOT SURE IF THOSE ARE “ZEROS” OT THE LETTER “O” ? CANT TELL…..IS THIS ONE RECALLED??? I will NEVER buy this food again or any other food made by Diamond, they always have issues!!! I always used, Nature’s Variety Prairie but everyone kept telling me TOTW was better and now knowing it is made by Diamond pisses me off…..another darn recall & Im worried about my dogs! We got the automated call on Saturday. They mentioned that no Kirkland brand pet food has tested positive for salmonella but, it is being recalled nonetheless. I must say that I am very disappointed with the way that Costco Canada has handled the situation. When the product first disappeared from the shelves, we were told that the food was safe but that had “supplier issues”. They told us to expect more product in 7 – 10 days. One employee told us that it was “supplier / pricing issues”. As of this morning, there is NOTHING posted on the Costco.ca website, that makes any mention of the recall. They mention on their facebook page that they are working on getting something posted on the official site and yet, they had the time to hire a robo calling company to call every person who had bought the product? We have heard nothing in the media about this, at all. I can only guess that we don’t have the same public disclosure laws (in Canada) re: a pet food recall that we do when there is a human food recall. I do hope that Costco.ca members who have bought the product have not changed their telephone number since they first joined. I wanted to quickly write in and let everyone know that my two labradoodles became ill about 4 days ago after I opened a brand new bag of Kirkland dog food. Mucous diarrhea, bloody stool, vomiting, and fevers. It wasn’t until I jumped online to do a little research that I noticed that this recall also covered the Kirkland brand that I feed my dogs. Because we are in California and this state has not yet been added to the recall list, I decided to call the hotline and talk with someone. The man told me that they are receiving calls from all over California and he was shocked that they have not yet added California to the list. The point of my comment is that those in California should discard of their food immediately and call the 1800 #. I now have my dogs on cooked rice and chicken/vegetable diet, where they will remain since the dog food companies cannot be trusted! I just learned of this recall yesterday & I am one of many ,with a tainted bag of KIRKLAND ADULT LAMB & RICE. my poor little Shorkie was sick for the 1st week: vomiting & diarrhea, listlessness, thirst & severe grass eating.. then it slowly passed to where he refuses his food sometimes & eats some of it the next day.. The first week of bringing home this bag I became sick:chills & fever, chattering teeth, severe cramps & severe diarrhea..it took me 3 weeks to return to normal..
Obviously I’m not going to feed my dog this food, but what else should I be doing about this??? I’m a senior on a fixed income, I can’t afford these kind of vet bills, but that is what my dog needs now! By the way, we live in PA, and the affected Taste of the Wild dog food was purchased and returned to Tractor Supply, Gibsonia, PA. The store was great about taking the food back and our refund. Our local Agway is awesome as well, and after I’d given them the heads-up to look out for a recall. When the recall happened, they [Agway-Saxonburg, PA] called all their customers who buy this food to tell them to return any food they may have left for a full refund, and so Agway could also return the bags to the manufacturer. Wonderful customer service!! We recently swithed our three dogs the Kirkland dry dog food and one day about two weeks ago my smallest dog a Yorkie was suddenly not acting like himself. Ususally he would run around and play but that day he was just laying in his bed and wouldn’t get up. He wouldn’t eat and kept throwing up. When he did it once or twice we thought nothing of it but later that day he was throwing up about 8 more times. We rushed him to the vet and we told the vet that we recently changed the food to the Kirkland brand. (Its on record) They looked up the dog food and at the time there were no recalls , They were saying he could have been poisned and we didn’t know how he could have been. He was so weak and the doctors did try to do what they could and unfortunally he passed away about two weeks ago. He was only two years old. Only after his passing did we get a message from Costco stating that the Kirkland dog food we were using was recalled. Right now were waiting on the vet to get back to us with results and I feel like Costco did too little too late. Also our other two dogs seem to be doing ok but were keeping an eye on them. You don’t know the anger I have towards Costco at the moment. I have looked all over the bag and can’t find the production code or best by date. I find lots of other numbers but not those. Where do I find them? Our 90lb golden lab started acting very lethargic two days ago. He hasn’t touched his food since Saturday morning, and he usually attacks his food with a voracious appetite. He has had diarrhea for the past twos days and looks glassy eyed. He has eaten nothing but Kirkland Signature Super Premium Healthy Weight Dog Formulated with Chicken & Vegetables for years now. Last night my wife took him to 24 hour pet emergency and he had a 106 fever and eventually the vet says he has “salmon” poisoning. It’s highly unlikely that he ate some salmon as we haven’t had salmon in the house for probably years, although there are fisherman in the neighborhood and it is salmon season. Still, this seems too coincidental with the food recall being his brand…although currently Oregon is not on the list for states affected. Our dog is still in intensive care at vet, but I wanted to find out if any others in Oregon (Portland area, shop at Tigard Costco) have sick pets? i live in Portland OR. My kitty seems to have abruptly developed most of the symptoms listed (unsure of blood or diarrhea as she does her business outdoors) and SHE is blaming her regular food: Wellness Chicken only (fish&grain-free) canned. i am not a Costco shopper- her food usually comes from New Seasons. I am in Portlamd as well and my story is down further if you scroll down. I was feeding Taste of the Wild to my 7year old lab. He is sick as well as my roommates dog that ate my dogs food. The numbers on my bag has the “2” but not the X, but also has the recalled expiration date. This food was poisoning my dog and I’m furious and scared my dog won’t recover. In states like Oregon and others where the recall is saying we aren’t effected, the truth needs to get out there that we ARE being effected. If I would have known there was a possibility, I would not have taken a chance and my dog would not be sick. I hope your dog is recoverinng well! my dog has been showing signs of salmonella sickness and has been excess vomiting yellow vomit because of this outbreak. he is a senior dog and has been showing signs of triedness lately after eating this and has felt warm to touch like he may have a fever or bug. i am going to have to take him to a vet due to this and exchange his food. this does tick me off cause i bought his food 2 weeks ago and he shares it with another dog occassionally whos also vomited yellow slime because of this. my dog and his buddy have not been willing to eat this food and now i know why. I have two dogs and three cats, all affected with salmonella from Taste of the Wild. Now I find out that the store I bought it from was told by Diamond to put back all the bags that they were told to pull, that they were safe. This is a ridiculous display of the concern big corporations have for their consumers. I am now hesitant to buy from this store and definitely will never again buy a Diamond product. I have contacted Diamond with my info today but have not heard back. Think I will go back to the store tomorrow and get a sample from the bag I returned to have tested on my own. I think there is going to be a big cover up about this. Just lost my little baby yorkie Lulu.. 6 years old in excellent health. She ate taste of wild exclusively.. 2 of my 3 girlies started developing diarrhea few weeks ago.. Thought they were getting sensitive tummies, so I stopped supplementing with any veggies, and just kept them on the kibble. It kept coming back periodically. The day before she died, she threw up, and looked weak. Was gonna take her to the vet in the morning.. I found her lethargic, she had diarrhea, and more vomitt around her. She died 5 min after I rushed her to the emergency room. I fed my dogs the batch on the recall list. Venison. I’m broken hearted and furious. She was my baby……..
I’m worried about how these tainted foods are being disposed of. It just doesn’t disappear when the garbage collectors take it away. Dogs, cats, rats, raccoons, foxes, possums, birds, etc. can get into it at the dump. I don’t know what happens if scavengers eat their bodies. These foods need burned or something. I am not sure if Science Diet is a Diamond product but a friend of mine with two large breed dogs just had this same thing happen with vomiting and diarrhea. The dogs had been on it for years. The one is okay but ended up with kidney issues. Went away when they followed vet advice on changing food and other helpful hints. Took it back to store in Florida and they did not mention it as an issue but said they would notify company. There is no recall for Science Diet (that I am aware of.) Science diet is made by Hill’s not Diamond. Our beloved Welsh corgi named “Dexter” recently died a very difficult death and neither us nor our vet could explain what was happening. For several weeks he showed signs of extreme lethargy, almost continuous diarrhea and hours of laying on the floor and shaking. We were in touch with our vet almost constantly after we recognize Dexter was sick. The vet treated him with prednisone and other medicines and frequent visits to monitor his white and red blood cell count. The night he died he did not have the strength to come up one step from our porch to our house. At 2 AM we found him dead in a pool of his own blood. This was a dog who looked like the Energizer Bunny until this happened. We have consistently bought Diamond Lamb and Rice dry dog food at Costco and that has been his staple. After he got sick we could never get him to eat Diamond dog food. Hi, I live in Colombia, South America and recently adopted two kittens who already had parasite problems which I have been treating. I thought I was buying them something healthy by buying Diamond Naturals for kittens and I feel terrible to find that I was actually hurting them with this food. Last week I bought a new bag and my kittens wouldn’t touch it. I thought they were just being picky. As I also threw the bag away I can’t know for sure. But tomorrow I will go back to the store to look at the other bags so that I can inform the store of the problem. I don’t understand why the map only shows affected areas in north america as this food is shipped to south america as well. We live in Minnesota so supposedly not part of the Diamond recall. Our bichon has eaten Taste of the Wild for about a year, but shortly after we opened our latest bag, she started having GI problems (diarrhea, vomiting, no appetite). Took her to the vet & started the rice diet, which improved her symptoms in less than a week. So we restarted her food gradually but after being back on the food for about 3 days, her symptoms have returned so I am pointing at the food as the likely cause. The production # on the package doesn’t even have 11 digits so it is not included in the recall, but I sure think something is wrong with this bag of food! I will keep her on home-cooked rice for now but sure would like to switch her to a reputable food. I am located in San Diego, CA. It all started on Sunday morning March 4th when my otherwise healthy 23 month old Toy Yorkie Oso began to vomit and show signs of lethargy. As his condition worsened towards the night he began having bloody diarrhea. The next day I took him in to my regular vet who tested him for Parvo which came back negative. The vet asked if Oso may have eaten some type of poison and I mentioned that I was unsure. He recommended I take him to a 24hr Pet Emergency Hospital so that he could be given intravenous fluids and be monitored over night. Once again I had been asked if I knew if Oso had eaten some type of poison and again I mentioned I was unsure. He was diagnosed with HGE. 24hrs and almost $4,000 later Oso passed. It happened so quickly. Oso had been on Natures Domain Salmon Meal from Costco for over a year. The last bag I purchased before his passing was on 2/28/2012. Not more than 2 weeks after, I began to notice that my 11 month old Boxer Buster who has been on the same Natures Domain Salmon Meal from Costco as well, began to eat less and less. He went from eating a total of about 5 cups a day with 2 meal servings down to almost 2 cups a day with sometimes even not eating in the morning and sometimes skipping both meal servings all together. I began to think that maybe Buster was just depressed from missing his buddy Oso. I had a stool sample done just to be sure which came back negative. A new bag of Natures Domain Salmon Meal from Costco was purchased on 4/5/2012. He continued to only eat sporadically and I felt that maybe Buster did not like the food anymore and decided to transition him over to Natures Domain Turkey Meal from Costco and purchased the bag on 4/14/2012. Buster began to eat more and I assumed it was because it was new to him. With both bags being fairly new the transition went from 3 to 1, 2 to 2, and I had just begun 1:3 over a 3 week period. I did notice that his stool had become firmer but also noticed it to be on the lighter green side. I thought it was something he was just not absorbing to well but I was content with his firmer stools. Then on Sunday May 6 I arrived home in the evening to not the usual Buster that would normally run and meet me at the front door as I would walk in. I had asked my girlfriend what was wrong with Buster and she said she did not know but that he had been lying around all day and had hardly moved from his bed. The next day Buster was not himself and would barely walk and would sit hunched over and did not eat or drink all day since Saturday. On Tuesday morning I decided to take him to a vet in Tijuana, Mexico since I could not afford to pay out a couple more thousand dollars here in the U.S. The vet mentioned that Buster was running a fever and had some type of infection. He gave him a couple injections and gave me some medication to give to him at home and told me to bring him back the next day for another treatment. The next day after a few more shots the vet recommended that Buster eat chicken and rice once a day for 1o days and then to feed him a raw diet consisting of raw chicken leg quarters for the rest of his life. He spoke to me about the dangers of commercial dog foods and how they create sickness and disease in our pets. At the time I felt it was kind of weird and didn’t think much of it. It has been exactly 1 week now and Buster has slowly been improving. This past Monday (5/14/2012) I was curious to compare the ingredients in the 2 Nature Domain Dog Foods and I went onto the website to take a look only to find a link that the food had been recalled due to the potential of salmonella contamination. As I began to read on the signs and symptoms of salmonella poisoning in dogs it was everything that Buster and Oso had presented. Lethargy, loss of appetite, weight loss, severe abdominal pain, fever, etc. I was astonished and have begun to know that this is a little more than just coincidence. I do not keep my dog food bags and empty the dog food into a bin (except the Natures Domain Turkey Meal which was kept in its bag) so I could not check the production codes or dates. I now believe that one of my bags was affected and due to the container and the same scooper being used that the dog foods were cross contaminated. I believe this is bigger than we all think and much of it is being covered up, and that there is more to this than just the bags with the production codes and expiration dates that they are mentioning, even going as far as to limiting this to eastern states. It is important for everyone who has experienced or is currently experiencing something similar to this due to the dog food products that have been recalled to speak out as we owe it to our beloved pets. Be smart start feeding real food. Feed raw! It is the healthiest food you can give your dog or cat and you will know what you are giving them. I am a breeder and both my Portuguese Water Dogs and Havanese are weaned from mothers milk to raw food. I add our DAISY”S OPTIMUM HEALTH Mega 8 probiotic flora and digestive enzymes and DAISY”S MAGICAL OMEGAS. It’s easy the dogs and cats love it and they never have diarrhea from their food. Just always feed fresh raw. Processed food is not good. I know I’m “late to the party” but I just cannot help myself. I worked in a animal Laboratory for 7 years… don’t be fooled into thinking that dogs on the Raw diets don’t get sick from it. We had samples coming in all the time from dogs who were very ill (vomiting, diarrhea, blood in stool/vomit etc.). We used to say it was called the BARF diet for a reason! I’m sure that some dogs are fine on it, this is due to the incredibly adaptable and tolerant nature of the canine digestive tract not necessarily because it is a better food! Dogs are not the same as wolves and haven’t been for a VERY, VERY, VERY, VERY, VERY long time (not going to get into that for fear I will start an evolutionary debate). The domestic dog has lived in a symbiotic relationship with humans from the beginning which means scraps and cooked food have always been a part of their diet. No dog food facility that uses any raw material (including vegetable matter) can possibly be immune to the possibility of a salmonella contamination event. Since all food facilities (including your own kitchen) have to start with raw ingredients this means they are all at risk. Facilities that manufacture foods usually have Quality programs in effect that test for all matter of bacteria etc. both in the food and on the facility (including equipment used to manufacture the product, the floor the packaging). Depending on the country and the industry the frequency and type of such testing can be regulated by a governing body. Unfortunately and fortunately with all this testing… you can and will eventually find something somewhere, this is where recalls come into play. Sometimes recalls are precautionary and sometimes they are because of actual contamination of the product. High volume facilities may have a higher chance of a recall because they use more raw ingredients and produce more product and because this product is distributed across a wider area it appears to affect more people. Just know that no food is 100% safe from anything. Just because a company or food hasn’t had a problem doesn’t mean they won’t, and if they do have a problem it isn’t always a direct result of their own inadequacy. I just found out about the Diamond Pet Food recall, I feed the Adult Premium Edge and the Puppy Premium Edge. I am wondering now if this has linked to one of my dogs illness. He is a one year old American Eskimo. In March, I had bought him a new bag of food and a few days later he became very sick, but my other dog was not interested in this bag when he has been eating this food for almost a year. His symptoms were lethargic, diarrhea, vomiting, and shaking. I took him to the ER Vet and didn’t have the money to test for what was wrong so I opted to treat for a typical poison and fill him with charcoal, give him fluids, and sent home with nausea, and diarrhea pills. After a few days he was feeling better. I tossed the food to be safe. I purchased another bag of food. The dogs have been eating this one just fine, but the American Eskimo got the shaking symptoms back and started acting very odd, lethargic, tired, extreme salvation and trying to vomit, which eventually turned into seizures after hours of those symptoms he tripped into 17 seizures. This happened 3 weeks after the first incident. Come to find out this is a recalled bag of food. I do not have the bag from the first set of food to know if that was recalled also, they were bought at the same place within maybe a weeks time apart. When I heard about the recall yesterday and saw that I have a recalled bag, it made me wonder if this has anything to do with the illness of my dog. If this is not that case, I am still mad that there is a recall on this food and feel that anyone who has deal with an ill person or animal should be compensated. It is their fault!!! Our 4 year old Terrier Mix has been eating Kirkland Chicken, Rice, and Vegetable for almost 2 years with no problems. We just purchased a new bag a couple weeks ago, soon after she started to not be herself. When we would take her outside she would just sit in the yard and look around instead of playing and running like she always does. Last Wednesday, she started to become very lethargic and we knew something was wrong. We took her immediately to the vet. The vet said she was very sick and needed to keep her there to monitor her. We would bring her home a nights and waited for the sickness to pass. Unfortunately on Friday night she got worse. I woke up at 3am and layed down with her. About 4am she started to have severe seizures. We immediately rushed her to our 24 hour Animal Hospital. By the time we got there she was almost gone, minutes later she died at the Hospital. This does not make sense for an absolutely HEALTHY dog that was the joy of our family, to loosing her to something like this. We never thought in a Million Years that something like this would happen. I read articles like these before I started to buy Kirkland/Diamond dog food, but TRUSTED that no one would ever sell something that would cause this much loss. I will never trust these companies again after loosing the greatest dog our family ever had. If you are still feeding your dog this food, I was just like you a week ago thinking it would never happen to us… now we are trying to deal with the tragic loss of our family pet. Both of my dogs became quite ill for several days. Their food was Natural Balance Synergy. While it is not on the recall list, it should be. I know that is what made them sick. This is how I found out about the recall in the first place. After they became ill, I serched the internet & found the reacall info. which was not widely publicized. Why isn’t this the top news story when this happens? I care about my dog’s health so much more than what celebrities said, did, wore, etc,. My 15 month old Keeshond became ill after eating Taste of the Wild Foul dog food. One minute she is playing and chasing bees and ten minutes later she collapsed and we rushed her to the vet with what we thought was an allergic reaction to a bee sting. A couple of hours later the vet is calling me to get her to UC Davis as the only chance she had. The vet at UC Davis said it was the worst case of acute liver failure they had ever seen. They infused her with plasma and kept her over night. They called and said we needed $8000 but when I arrived at Davis they said they needed $10,000 and that would only take her through Sunday and they would require another $10,000 on Sunday. Who has $20,000 in cash or could come up with it over a weekend? Brokenhearted we brought her home to die. This was the first time she ate dog food and my other dog did not eat it. She has survived nine days now. She still has to be forced fed but she may survive. When I bought Taste of the Wild Dog Food I looked on the label for the manufacturer. After Misty got sick I found out it was manufactured by Diamond. How many dogs have to die before these people are put out of business? I contacted my Congressman and asked just that. I suggest everyone do the same. I will speak for all of us who have lost our pets in the past 2 months, DO NOT feed your pet any of this dog food even if it is not on the recall. Hundreds of per owners have found that there is something wrong with the pet food but no one knows what it is. We are in Washington State where there is no recall but numerous reports of problems. Many of us have notified Diamond, Costco and FDA but they are still not acknowledging there is an issue. There are many other states that are not on the recall, but they are also reporting the same sickness/deaths. Our family wished we would have known about this before feeding it to our dog, unfortunately we got this information too late. I live on the island of Barbados – the recall notice was made available by PriceSmart(Costco) to its customers. For the past week my three rescue dogs have had diahorrea with vomiting at any time of day or night. They all constantly eat grass. This morning they would not touch their chow. They all have stomachs of iron and can eat anything without problems. Anyone else having trouble with this new batch? #KCRO209CllXRB 2139 best before 28th Feb 2013. Changing chow brands of of today! Sorry – Jennifer again – forgot to say the chow is Chicken/Rice & Vegetable Formula – Burgundy coloured bag. I have fed kirkland to my yorkies for years, just the last 2 months have been horrible. First it was the kirkland canned (not in gravy) After I returned that to costco who said there was not a recall, then a few days later a recall came out on those cans. Then I bought the super premium Adult dog food cuts in gravy. I have 8 little yorkies who have been symtomatic of the salmonilla virus. These are my pets who circulate with us. I keep my furniture covered and was cleaning up throwup etc… Finally Sunday before church the one had explosive diareah, got on the grandson, couch, floor, etc. I have 3 pregnant girls who have been eating this during there pregnacy and of course wondering what is causing all of this, and I was thinking wow as much as I feed these dogs they should not be so thin. I have just tracked it down to the Kirkland Super Premium adult dog food with cuts in gravy. I am angry and sad all at once. What will my pups be born with? And I beleive I got my adults back on track, also using rice and probiotics. But this is a shame that Diamond keeps on going. I still have 3 and a half cases that will be returned. I hope they test it for salmonilla, I will be making my calls and see what they will do. I am sorry for your losses and hope more will step forward…get into their pockets where it will make them pay attention!!! I feed Taste of the Wild. A month ago my two Pembroke Welsh Corgis came up with the same symptoms (one is 11 the other 3). The 11 year old was diagnosed with lymphoma. She had a full annual work up three weeks prior because she vomited and we were afraid something was wrong all her tests were negative. My three year old vomited for a month on and off, we did every test imaginable, and no one could diagnose her. This morning she was diagnosed with lymphoma as well and we had to let her go. Two perfectly normal pets that have been eating Taste of the Wild starting a couple months ago. I cannot believe other people are going through this as well. The worst part is when they originally got sick we called Diamond and they said there was no recall, and we fed it to them another week, then the recall came out. I just wanted to share my sympathy and that people are not alone with this. Our healthy 3 year old mixed breed dog has only ever eaten Kirkland Lamb and Rice while in our care. About six weeks ago, she got violently ill. She’s crated, and we came home to her crate full of watery poop/vomit. She has had bowel problems in the past, but nothing like that, but we assumed she had eaten something that disagreed with her. We kept her NPO except water for 24 hours, then introduced ground beef & rice for a couple of days. She recovered quickly so I reintroduced the kibble. That day we had a repeat of the watery poop/vomit (thankfully again in the crate). I thought I had reintroduced the kibble too soon until my son said “Maybe it’s her food”. A lightbulb went on for me and I clued in that the day before her first incident I had opened a new bag of food. This was before the Kirkland recall, but with a bit of digging I connected the dots between Diamond and Kirkland and realized that we likely had a tainted bag of food. About two weeks later, Costco issued their recall. I still had the bag of food, I had intended to return it to Costco but it hadn’t happened. Our bag of food had an expiry date of February 2013, so it technically was “safe”, but given what happened to our dog, I have absolutely no doubt whatsoever that she was eating tainted food. I returned the bag to Costco with no problem. I have since switched her to the Kirkland grain free without difficulty. My 10-year-old LGD quit eating Kirkland chicken and rice weeks ago. He’d rather starve. I changed his diet, thinking he was just bored. My others have kept eating it and seem to be okay except for a bit of loose stool but they are all younger. There was no explanation yet their symptoms were constant. I mentioned to my boyfriend I had heard once of dog food being recalled, so he checked, and here it is. We took them off the food (only feeding human food) for the past 4 days, and symptoms have disappeared. Our current bag doesn’t have a recalled code, but I wont’ feed it too them. Going to call the manufacturer. I’m not in the one of the listed states, I’m in Colorado and my dogs are exhibiting similar symptoms since starting the latest bag of Natures Domain Salmon & Sweet Potato. I don’t like abruptly changing food on the dogs but don’t have confidence in this food right now, to say nothing for getting tired of cleaning up diarhea. I was looking online to see if there is a list of ALL pet food coming from China! I could not find one! Some of the labels on pet food, only, say who distributes them! I am going to see how to go about getting a petition going, demanding all pet food have a label that we can understand…..everything, including where it is from. Better, yet, a petition demanding all foods manufactured for human & animal consumption be BANNED permanently from China! Why I say animals instead of pets…….this must include farm animals, too! I just learned about all of this the other day, so I am writing in with my experience. Our 11 year old Dalmatian has been eating the Kirkland Lamb and Rice dog food for about 5 years (used to feed Nutro, but we thought this was a good cost compromise in the economy). I bought a fresh bag in mid-late April. He had always had a good appetite, but after about a week or so, he suddenly turned up his nose at it. I thought it was peculiar that he was now so fussy. I mixed canned food in with it to get him to eat it (Alpo or something like it). About a week later after he wasn’t eating so much and was picking out the canned food (I thought maybe it was a phase, or that if he got hungry enough he would eat it), I tried Natural Balance food. He ate it some, but I could tell he wasn’t feeling great. Next day, he had 3 potty accidents (this from a dog who NEVER had an accident). I took him to the vet–urinalysis negative, but liver values were bad. Tried him on some antibiotics which helped temporarily. When he got bad again in a week, we did an ultrasound. His liver was swollen. Did another extensive blood test and liver values were even worse. He went downhill quick and died May 30. He had been old-ish, but perfectly healthy a month ago! He got sick and died since we bought the last bag of Kirkland Lamb & Rice–a coincidence?? We are absolutely heartbroken and figured that at 11 years, he wasn’t so young anymore (hoped he get to be 13 or 14). Thought maybe it was cancer or something, but I read all this and think, wow! That’s like what was happening to Baxter! I am full of guilt, and I don’t have the bag anymore (have a dog food bin with most of that bag in it). Supposedly the recall didn’t included my state–Minnesota. Does anyone out there have advice for me? Call Diamond Pet Foods consumer line, call Costco, compile receipts for all the vet care, euthanasia, cremation? Does anyone know if Diamond is compensating victims vet bills for this? Should I have the food tested? Nothing will bring him back now, but I want to add his name to the list of dogs that might have died from this food and help bring about change. Any advice is appreciated! PS–I am so sorry for all of your losses and sick pets. Katherine, we are sorry to hear about your loss. Many of us have had the exact same experience and going through the same difficulty. Here is some advice since I have gone through all this about a month ago. First contact Costco and file a written report the details – make sure they contact the Dog Food Buyer so they are aware. Second many of us filed reports with the FDA. Third contact Diamond (I did via email) and report what happened to your pet after opening the new bag. Many of us were called back by the Vet at Diamond. We gave tons of details and even sent our vet records to help try to resolve this. For now unless you are part of the recall, Diamond is not compensating anyone for this. They are also not acknowledging there is an issue until it can be proven that their food is the cause. Many of us have seen the exact liver or organ failure, and it appears there is something in the food that causes this. As for food testing, it is very difficult to test food because you have to know “exactly” what to test for because they are not broad but specific tests for each toxin. The medical experts I talked to said I needed to have the liver tested to determine the toxin that was in there instead of testing the food – unfortunately I did not have any of this information until after cremation so it was impossible for us. I have been contacted by many others that shared their same story and are trying to find the facts help solve this. If anyone wants to send me their email address I would be glad to contact you and help in any way I can. I have two beagles who eat EVERYTHING… and now halfway through our newest bag of Taste of the Wild (Lamb Formula), they are refusing to eat it. No diarrhea, but my oldest dog vomited once a few days ago (which is unusual for her) and she’s been lethargic ever since. Now our younger beagle is protesting as well. Both are eating grass. The numbers on my bag of food are not included in the recall. But after reading so many of these comments, I don’t think I’m going to feed them any more of this stuff. I am in Portland, Oregon and feed my 7 year old Lab Taste of the Wild. I bought a new bag before leaving on vacation the end of May. I received a call that he had urinated in the house which he has NEVER done since he was a puppy. I found this odd and thought he wasn’t being cared for properly. Fast forward to today, my dog Is completely sick and refusing the dry food. Throwing up, diarrea, tired. He never refuses food. I put a 1/4 cup down, he didn’t eat it and my friends puppy came in and ate it (I’m not used to food being left behind since my Lab always eats all of his food) the puppy has been up all night with diarrea now and I have two sick dogs. I checked the bag and it only has 1 of the recall numbers but I know with every bit of my instinct, and my dog letting me know yesterday by turning down the food, that this food is making him sick. What can we do?!! I am So sorry for the loss and sickness goiinasmuch and something must be done. I am not feeding anymore dry food and will make food for awhile till this gets resolved. Our dog has eaten nothing but costco food and treats for the past 5 years. We received a recall notice from Costco but it was way too late as we had already thrown the bags away. Now our Yellow lab is dying from liver and spleen cancer. I’m so so sorry to her of all the well loved pets who have died because of this awful situation.. I’m in the U.K. and have recently started feeding my dogs the Kirkland Chicken and Rice in the burgundy bag – I think I’ve bought around three bags overall and after reading the posts here all my dogs recent problems have been explained. My Deerhound was the first to become ill, I couldn’t get him to come in from the garden one night, he was lying on earth, eating dirt and vomiting; he had diarrhoea in the house when I finally got him in and was generally very ill. I took him to the vet as I thought he had a gastric torsion (which he’s had before) but the vet found no symptoms of that. He gave him antibiotics and painkillers and the emergency passed. However he was under the weather for a while. Meantime my Collie cross started drinking like a maniac and was having ‘accidents’ in the house. I thought he was diabetic, but again the vet could find no obvious cause. I think the next bag must have been ok as there were no symptoms for a while. However, the trouble has started again since I bought the most recent bag. They both have diarrhoea, are eating grass, vomiting and drinking excessively. My Collie won’t eat unless I put something tasty on his food (I wish I had trusted his instincts). The Deerhound is eating it, but he’s not so bright, He has been asking to get out through the night and has had diarrhoea in the house. They are both passing lots of mucous but no blood. I feel awful having fed them this stuff as I thought it was a good, budget option to what they were having before. I have turkey mince and rice on the stove as I type and I will be making a trip to Costco with this muck first thing in the morning, even though I have ‘man flu’ (It has to be ‘man flu’ – it’s too bad to be woman flu! ).